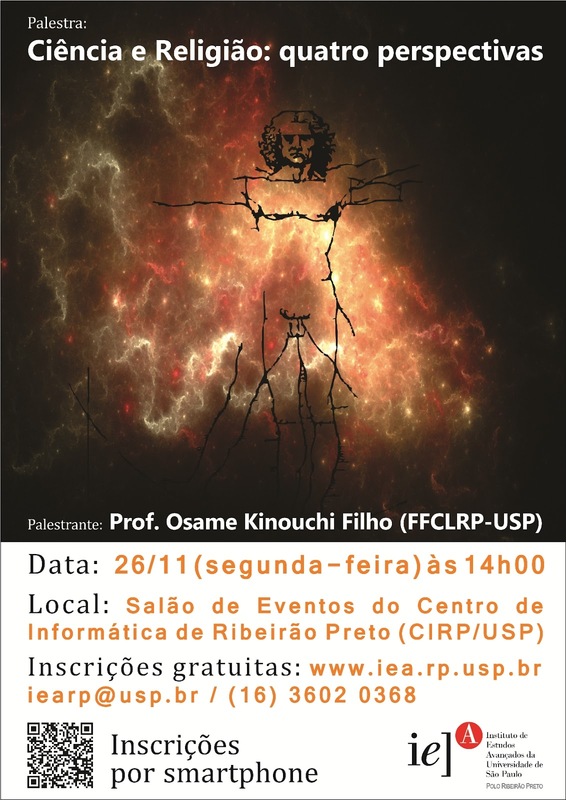 Home // Posts tagged "scientific life"
Como ser criativo na ciência? 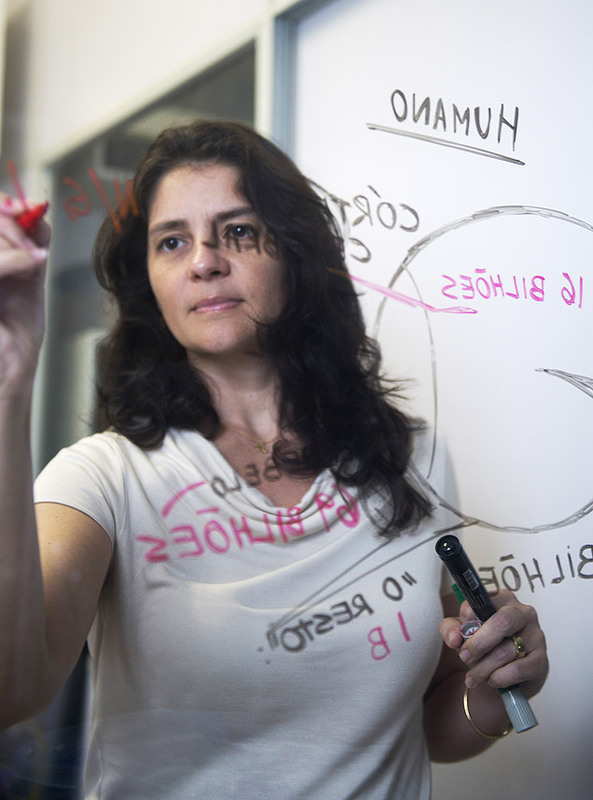 A neurocientista Suzana Herculano-Houzel, 40, dedicou-se nos últimos anos a entender como o cérebro humano se tornou o que é. Seu trabalho a levou a ser a primeira brasileira convidada a falar no TED Global, famoso evento anual de conferências de curta duração que reúne convidados de várias áreas do conhecimento. Na entrevista, concedida por telefone, a professora do Instituto de Ciências Biomédicas da UFRJ (Universidade Federal do Rio de Janeiro) dispara críticas à cultura brasileira de pesquisa científica, “que não incentiva a originalidade e a diversidade de pensamento”, à pós graduação nacional, “muito fraca”, e ao programa de bolsas Ciência Sem Fronteiras, “do jeito que está, parece demagogia” e defende a profissionalização da carreira de cientista. The “Geek Syndrome” is a theory for the rising number of autism diagnoses that doesn’t have anything to do with vaccines or environmental factors.Â About a decade ago, Wired magazine suggested that the notable increase in autism cases among the computer programmers and engineers in Silicon Valley was because those who inhabit those “geek warrens” have a “genetic predisposition” for autism. Now, underÂ Rosa Hoekstra of the Open University in Milton Keynes in the UK, researchers have found that inÂ Eindhoven, a city that is the heart of the Dutch information technology industry, autism is diagnosed in twice as many children as in cities of the same size. In Eindhoven, where 30 per cent of all jobs are in IT and computing industries, there were 229 cases of autism-spectrum disorders per 10,000 school-age children. This was more than double the corresponding figure of 84 in Haarlem and four times the figure of 57 in Utrecht. 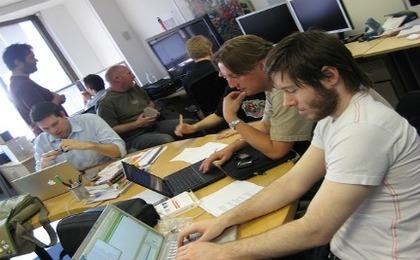 Each city has half as many IT jobs as Eindhoven. By contrast, all three cities had the same prevalence of two other childhood psychiatric conditions unrelated to autism, namely attention-deficit hyperactivity disorder (ADHD) and dyspraxia. Hoekstra notes that other reasons for the higher prevalence rate in Eindhoven could be greater awareness and the availability of better services. It’s been almost ten years since theÂ Wired article on “the Geek Syndrome” was published and autism has certainly gotten a lot of attention in the public eye. Some of Baron-Cohen’s earlier research foundÂ that fathers and grandfathers of children with autism are more likely to be engineers and scientists, and thatÂ mathematicians are more likely to have siblings on the autism spectrum. Â Other studies in the UK, Japan and the Netherlands have found a higher than usual rate of autistic traits among engineering, science and mathematics students. In my own household, the gender aspects of Baron-Cohen’s “extreme male brain” theory are reversed. I count several engineers (including my mother’s father, a civil engineer who was a bridge inspector for the state of California), computer programmers and IT types. There’s nary an engineer (or any one in the science or medical fields) in my husband’s family. Indeed, Jim tends to be more of what Baron-Cohen would call “empathetic,” with an intuitive feel for people’s (certainly Charlie’s) moods and states of mind. I’m no scientist myself, but definitely have “systematizing” tendencies, which helped me learn the complex grammar of ancient languages and music like Bach’s fugues (whereas, if Jim hadn’t become a historian, he had thoughts of being a courtroom lawyer, a profession that everyone in my family shies away from). I’ve often thought that if things had turned out differently, and I hadn’t discovered Latin and Greek in middle school, I could have been a coder. Charlie himself is quite the systematizer. I’ve also wrote a bit more extensively about Charlie himself and Baron-Cohen’s “extreme male brain” theory of autismÂ here and his theory of autism and mind-blindnessÂ here, with the caveat that these are theories that many do not agree with. Still, I find them helpful as we continue to try to understand why Charlie does what he does: He doesn’t just make arrangements like the one below without a lot of thought and care. Leonardo Lyra Gollo me incentivou a retomar o blog. Obrigado pelo incentivo, Leo! Neurons are thought of as the building blocks of excitable brain tissue. However, at the single neuron level, the neuronal membrane, the dendritic arbor and the axonal projections can also be considered an extended active medium. Active dendritic branchlets enable the propagation of dendritic spikes, whose computational functions, despite several proposals, remain an open question. Here we propose a concrete function to the active channels in large dendritic trees. By using a probabilistic cellular automaton approach, we model the input-output response of large active dendritic arbors subjected to complex spatio-temporal inputs, and exhibiting non-stereotyped dendritic spikes. We find that, if dendritic spikes have a non-deterministic duration, the dendritic arbor can undergo a continuous phase transition from a quiescent to an active state, thereby exhibiting spontaneous and self-sustained localized activity as suggested by experiments. Analogously to the critical brain hypothesis, which states that neuronal networks self-organize near a phase transition to take advantage of specific properties of the critical state, here we propose that neurons with large dendritic arbors optimize their capacity to distinguish incoming stimuli at the critical state. We suggest that “computation at the edge of a phase transition” is more compatible with the view that dendritic arbors perform an analog and dynamical rather than a symbolic and digital dendritic computation. Zero-lag synchronization between distant cortical areas has been observed in a diversity of experimental data sets and between many different regions of the brain. Several computational mechanisms have been proposed to account for such isochronous synchronization in the presence of long conduction delays: Of these, the phenomena of “dynamical relaying” – a mechanism that relies on a specific network motif (M9) – has proven to be the most robust with respect to parameter and system noise. Surprisingly, despite a contrary belief in the community, the common driving motif (M3) is an unreliable means of establishing zero-lag synchrony. Although dynamical relaying has been validated in empirical and computational studies, the deeper dynamical mechanisms and comparison to dynamics on other motifs is lacking. By systematically comparing synchronization on a variety of small motifs, we establish that the presence of a single reciprocally connected pair – a “resonance pair” – plays a crucial role in disambiguating those motifs that foster zero-lag synchrony in the presence of conduction delays (such as dynamical relaying, M9) from those that do not (such as the common driving triad, M3). Remarkably, minor structural changes to M3 that incorporate a reciprocal pair (hence M6, M9, M3+1) recover robust zero-lag synchrony. The findings are observed in computational models of spiking neurons, populations of spiking neurons and neural mass models, and arise whether the oscillatory systems are periodic, chaotic, noise-free or driven by stochastic inputs. The influence of the resonance pair is also robust to parameter mismatch and asymmetrical time delays amongst the elements of the motif. We call this manner of facilitating zero-lag synchrony resonance-induced synchronization and propose that it may be a general mechanism to promote zero-lag synchrony in the brain. We show how aspects of the R-charge of N=2 CFTs in four dimensions are encoded in the q-deformed Kontsevich-Soibelman monodromy operator, built from their dyon spectra. In particular, the monodromy operator should have finite order if the R-charges are rational. We verify this for a number of examples including those arising from pairs of ADE singularities on a Calabi-Yau threefold (some of which are dual to 6d (2,0) ADE theories suitably fibered over the plane). In these cases we find that our monodromy maps to that of the Y-systems, studied by Zamolodchikov in the context of TBA. Moreover we find that the trace of the (fractional) q-deformed KS monodromy is given by the characters of 2d conformal field theories associated to the corresponding TBA (i.e. integrable deformations of the generalized parafermionic systems). The Verlinde algebra gets realized through evaluation of line operators at the loci of the associated hyperKahler manifold fixed under R-symmetry action. Moreover, we propose how the TBA system arises as part of the N=2 theory in 4 dimensions. Finally, we initiate a classification of N=2 superconformal theories in 4 dimensions based on their quiver data and find that this classification problem is mapped to the classification of N=2 theories in 2 dimensions, and use this to classify all the 4d, N=2 theories with up to 3 generators for BPS states. As atividades, porém, terão de ser aprovadas pelos orientadores e informadas aos programas de pós-graduação. Devem estar “relacionadas à área” do estudante e ser “de interesse para sua formação”, diz a portaria. O texto cita “especialmente [atividades de] docência nos ensinos de qualquer grau”. Segundo Aragão, os orientadores evitarão que os alunos dediquem um número excessivo de horas ao trabalho fora da universidade. Muitos alunos bolsistas já complementavam sua renda com aulas antes da portaria –o CNPq com frequência recebia denúncias de pessoas fazendo isso, diz Aragão. Os inquéritos criados, diz, eram um “esforço inútil”, porque é “muito recomendável que o aluno de pós exerça atividades didáticas”. “Além disso, há áreas como engenharia ou medicina, em que existia dificuldade para manter estudantes vinculados aos cursos de pós-graduação”, diz. Os alunos recebiam ofertas de trabalho com boas remunerações, e era difícil evitar a evasão. “Por isso, a medida será boa no que diz respeito à interação com empresas”, diz, argumentando que ela vai permitir que empresas se aproximem das universidades quando alunos de pós estiverem nos seus quadros. 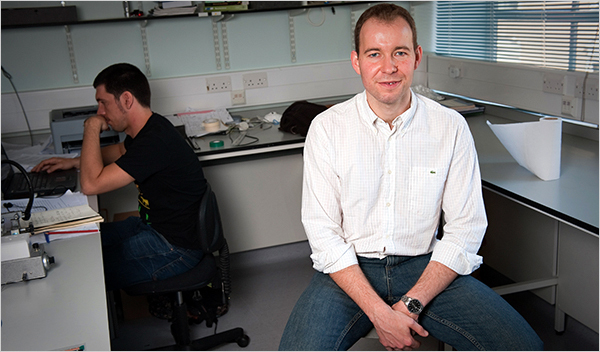 Dr. Jeremy Niven in his lab at the zoology department at Cambridge University. Q. YOUR RESEARCH SUBJECTS ARE LOCUSTS. SOME PEOPLE MIGHT SAY, “LOCUSTS, YUCK!” WHY STUDY THEM? A. I think locusts are sweet. When you get used to them, they are actually quite nice. Actually, I find that working with invertebrates opens your mind. Insects don’t perceive the world the way we do. Trying to understand them makes you think more about why we see the world as we do. Many animals have different sensors and receive different energies. Birds have ultraviolet vision. So do bees. They can see things we don’t. One learns respect for their capacities. But the other thing is that insects in general and locusts in particular are admirable because they permit us to gain new information about nervous systems. With insects, we can actually study neural circuits and see how what happens in the neurons relates to behavior. Q. SO INSECTS ARE YOUR MODEL ANIMAL? A. Yes. You see, with mammals, their nervous systems are very complex and everything you look at is more difficult to connect to behaviors. There are so many neurons in their brains — where do you even begin? How do you associate what’s going on in the neuron with what’s going on in the animal? Now, in insects, there are fewer neurons and so they can be identified more easily. Of course, insect brains don’t work in the exactly same way a human brain does. But there is more overlap than many realize. It’s a consequence of evolution that animals have used the same biological tricks to get what they need from the environment. They mix and match different molecular components to build the system they need. So you can find the same components in a locust’s nervous system as in human. We just have more of it. Q. YOU’VE DONE AN EXPERIMENT WHERE YOU PLACED LOCUSTS ON A LADDER THAT HAD JIGGLING RUNGS. YOU THEN WATCHED HOW THEY WORKED THEIR WAY ACROSS THIS TRICK LADDER. WHAT WAS THE POINT? A. I wanted to know how locusts used their vision to coordinate their limbs in a changing situation. This research involved learning how insects combine visual information with decision making and motor patterns. With locusts, we’ve long thought they used their limbs to feel things gradually or that they used their antennae to sense the environment, much like a blind person with a cane. But with our experiment, we showed they use their vision to make a kind of guesstimate of distance. Then they jump. Many insects use an approximate approach. So they teach us that many behaviors that a psychologist might describe as very complicated, an insect can do with very few neurons, and by making a few rough guesses. Q. WHY SPEND TIME LEARNING THIS? A. We have not discovered yet the neural circuits in humans that are involved in reaching for objects. However, we might be able to work that out in locusts. We already know that it doesn’t take a huge brain to accurately control the limbs. These insects do it. There are all kinds of possibilities for robotics and for rehabilitative medicine in these studies. Q. OVER YOUR CAREER, WHAT WOULD YOU SAY HAS BEEN YOUR MOST SIGNIFICANT FINDING? A. In 2007, we were able to study how much energy neurons used and we quantified it. We studied different types of insect eyes — from tiny fruit fly eyes to huge blowfly eyes. In each creature, we worked out how much energy it takes for neurons in the brain to process information. What we learned was that the more information a fly’s eye needed to process, the more energy each unit of information consumed. That means that it’s bad, in the evolutionary sense, for an animal to have a bigger brain than it needs for survival. It’s like having a gas-eating Ferrari, when what you really need is Honda Civic. Q. SO BIG BRAINS ARE NOT ALWAYS AN ADVANTAGE? A. Bigger is better if you want to produce enormously complicated behavior. But in evolution, brains evolve by selection. There always is pressure on animals to produce behaviors for as little energy as possible. And that means for many animals, smaller brains are better because they won’t waste energy. You know, there’s this pervasive idea in biology that I think is wrong. It goes: we humans are at the pinnacle of the evolutionary tree, and as you get up that tree, brain size must get bigger. But a fly is just as evolved as a human. It’s just evolved to a different niche. In fact, in evolution there’s no drive towards bigger brains. It’s perfectly possible that under the right circumstances, you could get animals evolving small brains. Indeed, on some islands, where there’s reduced flora and fauna, you’ll see smaller versions of mainland species. I would argue that their brain size has been reduced because it saves energy, which permits them to survive in situations of scarcity. They also might not need big brains because they don’t have natural predators on the islands—and don’t have to be as smart because there’s nothing to avoid. Q. SPEAKING OF ISLANDS, WHEN AN APELIKE FOSSIL WAS DISCOVERED ON THE INDONESIAN ISLAND OF FLORES IN 2003, A GREAT CONTROVERSY BROKE OUT AMONG ANTHROPOLOGISTS. SOME SAID THIS THREE-FOOT TALL SMALL- BRAINED CREATURE WAS A NEW SPECIES OF HOMINID — A HUMANLIKE PRIMATE. OTHERS CLAIMED IT WAS AN EARLY HUMAN WITH A BRAIN DEFORMITY. WHY DID YOU JUMP INTO THE FRAY? A. Because I thought it was a hominid. This thing about its being a human ancestor with a diseased brain never made much sense. The people who insisted it was a deformed early human couldn’t believe that it was possible to have such a huge reduction in brain size in any hominid. Yet, it’s possible to get a reduction in brain size of island animals as long as the selection pressure is there. There’s nothing to stop this from happening, even among hominids. Q. SO WHY WERE OTHER SCIENTISTS INSISTING THAT FLORES MAN WAS A DEFORMED HUMAN? A. Because there’s this idea that nature moves inexorably towards bigger brains and some people find it very difficult to imagine why if you evolved a big brain — as ancient hominids had — why you would ever go back to a smaller one. But evolution doesn’t really care. This smaller brain could have helped this species survive better than an energy-consuming bigger one. The insects have shown us this. Q. GETTING BACK TO INSECTS. DO YOU UNDERSTAND WHY PEOPLE DISLIKE THEM SO? A. I think probably because in the near past, we associated insects with disease. That’s a big part of it. On the other hand, Darwin loved insects. There’s a wonderful quote from him, where he’s talking about the marvelous brains of ants, and he says that they may be more marvelous than the brains of humans or monkeys because they are tiny and to be able to do so much behavior with such tiny brains, I can’t help but agree. Por quem os sinos quânticos dobram? Why have so few heard of one of the great heroes of modern physics? In 1935, Einstein and his colleagues Boris Podolsky and Nathan Rosen outlined an extraordinary paradox associated with the then emerging science of quantum mechanics. They pointed out that quantum mechanics allows two objects to be described by the same single wave function. In effect, these separate objects somehow share the same existence so that a measurement on one immediately influences the other, regardless of the distance between them. To Einstein, Podolsky and Rosen this clearly violated special relativity which prevents the transmission of signals at superluminal speed. Something had to give. Despite the seriousness of this situation, the EPR paradox, as it became known, was more or less ignored by physicists until relatively recently. Today, we call the relationship between objects that share the same existence entanglement. And it is the focus of intense interest from physicists studying everything from computing and lithography to black holes and photography. It’s fair to say that while the nature of entanglement still eludes us, few physicists doubt that a better understanding will lead to hugely important insights into the nature of reality. Many researchers have helped to turn the study of entanglement from a forgotten backwater into one of the driving forces of modern physics. But most of them would agree that one man can be credited with kickstarting this revolution. 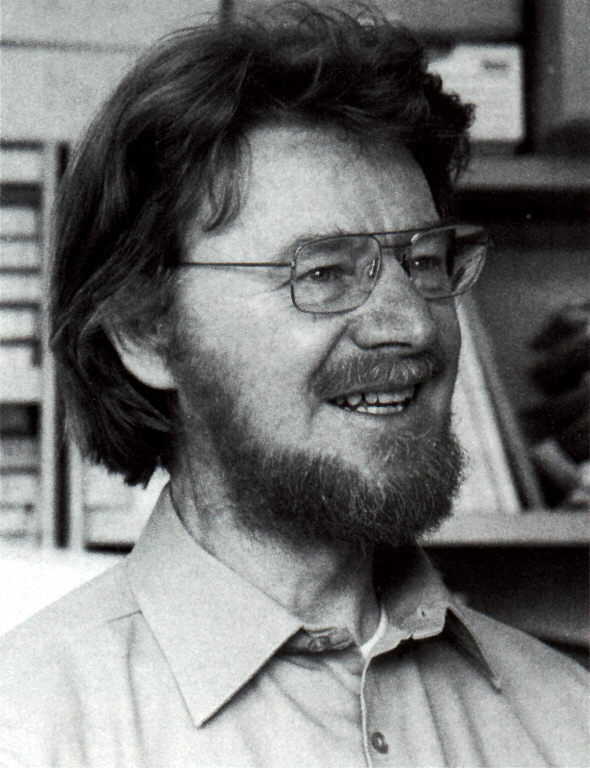 This man was John Bell, a physicist at CERN for much of his career, who was incensed by the apparent contradictions and problems at the heart of quantum mechanics. In the early 60s, Bell laid the theoretical foundations for the experimental study of entanglement by deriving a set of inequalities that now now bear his name. While Bell’s inequalities are now mainstream, Bell was more or less ignored at the time. Now Jeremy Bernstein, a physicist and writer who knew Bell, publishes a short account of the background to Bell’s work along with some interesting anecdotes about the man himself, some of which are entirely new (at least, to me). He recounts screaming arguments between Bell and his university lecturers about the nature of quantum mechanics. And says that at the time of his death in 1991, Bell had been nominated for a Nobel Prize, which he was expected to win. That would have entirely changed Bell’s legacy. He is well remembered by many working on the foundations of quantum mechanics but not well known by people in other areas. As a good example of a scientist who took on the establishment and won, that is a shame. Como o blogueiro de ciências deve tratar os trolls? Scientific education and divulgation not only amplify people’s vocabulary and repertory of scientific concepts but, at the same time, promote the diffusion of certain conceptual and cognitive metaphors. Here we make some hypothesis about this process, proposing a classification in terms of visible, invisible, basic and derived metaphors. 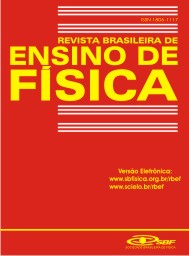 We focus our attention in contemporary and classical physics metaphors applied to psychological and socio-economical phenomena, and we study two exemplar cases through an exhaustive exam of the online content of large Brazilian journalistic portals. Finally, we present implications and suggestions from the cognitive metaphor theory for the scientific education and divulgation process. É com prazer que comunicamos a aceitação do seu artigo “Metáforas científicas no discurso jornalístico” para publicação na RBEF. Seguem os dois pareceres. Essa aceitação é condicionada ao atendimento das solicitações de revisão dos avaliadores. Após nos ser enviada a versão revisada, daremos início ao processo de publicação. O trabalho é claro e relevante na medida em que traz um enfoque inovador sobre o uso de metáforas científicas ao abordá-las como parte da linguagem comum e da divulgação científica e ao propor uma forma diferente do que vem sendo proposto no uso das mesmas no ensino. (1) A exclusão da expressão “estudo de casos” do trabalho, já que esta expressão diz respeito a um tipo de pesquisa qualitativa que tem como objetivo o conhecimento de uma realidade por meio do aprofundamento interpretativo dos dados. (2)a reformulação da seção 4 no sentido de deixar claro ao leitor que se trata de um levantamento exploratório de metáforas jornalísticas. A proposta dos autores ficará mais clara se na sentença “Em relação à educação e divulgação científicas, o uso de metáforas científicas por jornalistas, colunistas, intelectuais etc. produzirá um resultadoambíguo” for retirado o início “Em relação à educação e divulgação científicas”. Os autores devem justificar por que o exercício sugerido seria interessante, na sentença: “Se possível, a elaboração de um mapa conceitual que ligue as expressões metafóricas com as metáforas cognitivas básicas das quais foram derivadas, na forma de uma rede de metáforas com nodos e ligações, seria um exercício interessante”. Corrigir a concordância na sentença “Para a prevenção desses efeitos de interferência, propomos que a natureza e a ubiquidade das MCI, especialmente as derivadas de metáforas cognitivas básicas, seja (sejam) reconhecida(s) e enfrentada(s) ativamente”. A proposta representa uma boa revisão da literatura pertinente ao tema, atualizada e clara. 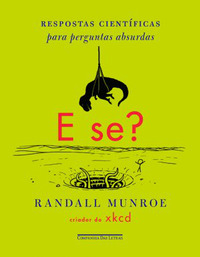 Sugiro somente que o(s) autor(es) avaliem o conceito de público leigo que na literatura atual de comunicação pública das ciências vem sendo questionado, uma vez que todos somos leigos, em alguma área, na sociedade da informação. Este conceito reporta ao modelo de défict criticado no próprio manuscrito por ser centrado no conhecimento científico. Outra questão que pode melhorar o texto é a afirmação da inadequação das metáforas calcadas em modelos da física clássica. O texto é bastante interessante para deixar uma relação simplista entre a mecânica clássica e uma metáfora antiquada. Considero que os argumentos apresentados são mais ricos do que isso. Recomendo a publicação com uma pequena revisão do texto principalmente nas regências verbais e pontuação. A necessidade de uma política nacional para a Ciência e a Tecnologia capaz de ampliar o desenvolvimento de pesquisas e de inovação no país, em sintonia com os principais setores da indústria, está no centro do debate do Brasilianas.org desta segunda-feira (12) na TV Brasil. A partir do final da década de 1990, o Brasil passa a se consolidar como uma potência, principalmente nos setores da agricultura e do petróleo. Essa situação deve-se não apenas aos aquecimentos na economia e na produção, mas também aos investimentos diretos nas áreas do conhecimento. Esse movimento para a inovação ganha mais força e começam a surgir associações, a exemplo da Sociedade Brasileira para o Progresso da Ciência (SBPC). O objetivo é reunir pesquisadores de todo o país para pensarem os rumos da produção científica. A partir de 2000, a criação dos Fundos Setoriais, do Ministério da Ciência e Tecnologia, surge como um divisor de águas. E, desde 2007, com a concepção do Plano de Ação em Ciência, Tecnologia e Inovação para o Desenvolvimento Nacional, buscam-se novos caminhos para se fomentar a pesquisa e a produção de conhecimento interno. Qual a importância da pesquisa e desenvolvimento (P&D) para uma política industrial e como organizar uma política científica? Quais os principais acordos de cooperação internacionais? Quais os resultados obtidos até agora com a Conferência de Ciência e Tecnologia? E quais as perspectivas futuras para o desenvolvimento tecnológico no Brasil? Para responder a essas perguntas, o jornalista Luis Nassif recebe no estúdio do Brasilianas.org o diretor de Gestão e Inovação do Centro de Pesquisa e Desenvolvimento em Telecomunicações, Antonio Carlos Bordeaux Rego; o presidente da Natura, Pedro Luiz Barreiros Passos; e o professor do Instituto de Economia da Unicamp, Carlos Américo Pacheco. 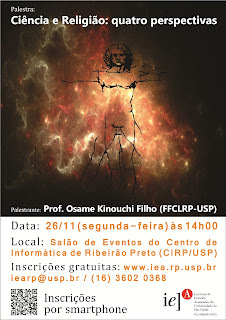 Participe da discussão na página de Ciência e Tecnologia no site Brasilianas.org. 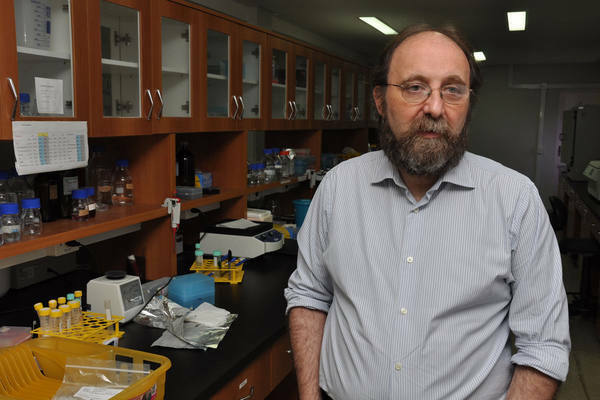 O cientista brasileiro, Miguel Nicolelis, de 49 anos, é considerado um dos maiores pesquisadores do planeta na área de neurociências e, por diversas vezes, lembrado para o Prêmio Nobel. Ele lidera pesquisas que podem, por exemplo, representar avanços históricos no tratamento do Mal de Parkinson e implantou em Natal um Instituto Internacional de Neurociências (IINN), que já captou investimentos superiores a R$ 100 milhões e que pretende ser a semente da futura “Cidade do Cérebro”, uma estrutura científica, cultural, econômica e social estimada em mais de R$ 1 bilhão. Não faltam, portanto, motivos para estímulo na carreira de Nicolelis. No entanto, ele revela uma decepção: desde a instalação do IINN, há sete anos, o Instituto nunca recebeu o apoio devido dos poderes públicos estadual e municipal, nem dos políticos potiguares em geral. O neurocientista que acredita que a força do pensamento pode superar as barreiras geográficas e, de certa forma, provou isso instalando um centro de conhecimento de ponta em um Estado pequeno como o Rio Grande do Norte, não esperava deparar com o obstáculo da “falta de visão”. Miguel Nicolelis esteve em Natal na última semana e concedeu entrevista exclusiva ao repórter Wagner Lopes, da TRIBUNA DO NORTE, na qual falou sobre o projeto, as novidades e, principalmente, as dificuldades enfrentadas pelo IINN. Esse turismo atual não traz dinheiro nenhum. Vejo esses ônibus de turismo andando por Natal, fazendo “city tour”, deixando migalhas na cidade e às vezes deixando problemas seríssimos, que nem vale a pena citar, enquanto a gente tenta criar uma economia de conhecimento que pode trazer bilhões de reais ao longo do tempo. E tudo é difícil, tudo é uma dificuldade. As pessoas falam, nos tratam muito bem, sou muito bem recebido, mas do ponto de vista operacional, se isso fosse feito no estado de São Paulo, em outro estado, outro país… Essas demandas são mínimas e não estamos pedindo nada de outro mundo. São 200 metros de asfalto. A RN que chegava no instituto lá em Macaíba foi recuperada, mas não tinha mais condições de passar automóveis. Havia risco de mortes devido às crateras. Eu mesmo perdi dois pneus do carro nas idas até lá. Mas aqui na frente do instituto, aqui em Natal, eu categorizaria como uma vergonha. O município também nos pediu um projeto para outra escola aqui em Natal (o IINN já conta com uma na Cidade da Esperança). Fizemos o projeto e nunca tivemos resposta. Então me pergunto se as pessoas não percebem a importância disso. Acho que depois de sete anos não há muitas dúvidas de que somos sérios. Bom, até agora a iniciativa privada do Estado também, com exceção de pequenas e pontuais parcerias, que começam, mas não tem continuidade… O único lugar do Brasil que não consegui estabelecer parcerias privadas de longo prazo foi no estado do Rio Grande do Norte. O slogan bem que poderia ser aquele – “sou pobre, mas sou feliz”. Para esse pessoal, o desemprego, a falência, a conta bancária zerada, o apartamento minúsculo, o paletó surrado, o furo na sola de sapato não são realmente problema. Bem ao contrário. 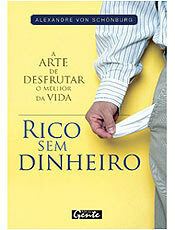 Em“Rico sem dinheiro – a arte de desfrutar o melhor da vida”(Gente), o jornalista desempregado Alexandre Von Schönburg conta como contornar os problemas financeiros e descobrir outras formas de ser feliz. Faz-se necessário, claro, cortar gastos. Mas, a coisa vai mais longe. Hábitos como ir a restaurantes, tomar champanhe, comprar roupas de marca e o carro do ano são maus costumes dos quais os empobrecidos estão livres, diz o autor. Em lugar dos macabros restaurantes chiques, onde, às vezes, come-se mal e se paga caro, por que não uma reuniãozinha com amigos no seu apartamento duas peças, cheio de calor humano e simplicidade?! Afinal, nada como dinheiro curto para se refletir o que realmente importa na vida. Na mira de futilidades listadas pelo autor, estão ainda as academias de ginástica e todos produtos de esporte, quando tudo o que se precisa é de um velho moletom e uma boa corrida no parque. A mão de Von Schönburg varre ainda para o lixo toda esta parafernália, ele chama de bugigangas, que hipnotizam com novidades, tipo o cortador de cebola para viagem e tamancos com gel no solado. Atenção, porque férias emburrecem. O jornalista está documentado. Segundo estudos, bastam três semanas de férias, e o quociente intelectual (QI) do sujeito volta 3% menor que antes da partida. Segundo ele, também é irracional economizar todo o ano para, então, nas férias, torrar tudo de uma vez, saltando de um lugar a outro, nestes pacotes turísticos tão a gosto. Melhor é optar por uma estada prolongada e manter os olhos bem abertos em vez de se comportar como turista estabanado. Quem precisa de trufas, se existe pão fresco com manteiga e sal?. Segundo Von Schönburg, dinheiro demais atrapalha. É como uma droga que mantém a pessoa longe do essencial. “Os ricos são os verdadeiros pobres”, afirma. E completa: “mais pobres que os ricos, são provavelmente apenas os pobres que querem ser ricos”. Seu ídolo, o homem que ganhou uma fortuna na loto e, chocado com tanto dinheiro, ficou com 10 mil euros e doou o resto, para que sua vida não saísse dos trilhos. [T]his is one of the difficulties with analysis. Fairly few political commentators know enough to decide which research papers are methodologically convincing and which aren’t. So we often end up touting the papers that sound right, and the papers that sound right are, unsurprisingly, the ones that accord most closely with our view of the world. Especially for papers that rely on empirical work with painstakingly assembled datasets, the only way for peer reviewers to do the kind of thorough vetting that many commentators seem to imagine is implied by the words “peer review” would be to . . . well, go back and re-do the whole thing. Obviously, this is not what happens. Peer reviewers check for obvious anomalies, originality, and broad methodological weakness. They don’t replicate the work themselves. Which means that there is immense space for things to go wrong–intentionally or not…. While brilliant and progressive research continues apace here and there, the amount of redundant, inconsequential, and outright poor research has swelled in recent decades, filling countless pages in journals and monographs. Consider this tally fromScience two decades ago: Only 45 percent of the articles published in the 4,500 top scientific journals were cited within the first five years after publication. In recent years, the figure seems to have dropped further. In a 2009 article in Online Information Review, Péter Jacsó found that 40.6 percent of the articles published in the top science and social-science journals (the figures do not include the humanities) were cited in the period 2002 to 2006. None of this provides much comfort for the layman interested in navigating through the miasma of contradictory research papers. How can the amateur policy wonk separate the wheat from the chaff? 1) If you can’t read the abstract, don’t bother with the paper. Most smart people, including academics, don’t like to admit when they don’t understand something that they read. This provides an opening for those who purposefully write obscurant or jargon-filled papers. If you’re befuddled after reading the paper abstract, don’t bother with the paper — a poorly-worded abstract is the first sign of bad writing. And bad academic writing is commonly linked to bad analytic reasoning. 2) It’s not the publication, it’s the citation count. If you’re trying to determine the relative importance of a paper, enter it into Google Scholar and check out the citation count. The more a paper is cited, the greater its weight among those in the know. Now, this doesn’t always hold — sometimes a paper is cited along the lines of, “My findings clearly demonstrate that Drezner’s (2007) argument was, like, total horses**t.” Still, for papers that are more than a few years old, the citaion hit count is a useful metric. 3) Yes, peer review is better. Nothing Megan McArdle wrote is incorrect. That said, peer review does provide some useful functions, so the reader doesn’t have to. If nothing else, it’s a useful signal that the author thought it could pass muster with critical colleagues. Now, there are times when a researcher will bypass peer review to get something published sooner. That said, in international relations, scholars who publish in non-refereed journals usually have a version of the paper intended for peer review. 4) Do you see a strawman? It’s a causally complex world out there. Any researcher who doesn’t test an argument against viable alternatives isn’t really interested in whether he’s right or not — he just wants to back up his gut instincts. A “strawman” is when an author takes the most extreme caricature of the opposing argument as the viable alternative. If the rival arguments sound absurd when you read about them in the paper, it’s probably because the author has no interest in presenting the sane version of them. Which means you can ignore the paper. 5) Are the author’s conclusions the only possible conclusions to draw? Sometimes a paper can rest on solid theory and evidence, but then jump to policy conclusions that seem a bit of a stretch (click here for one example). If you can reason out different policy conclusions from the theory and data, then don’t take the author’s conclusions at face value. To use some jargon, sometimes a paper’s positivist conclusions are sound, even if the normative conclusions derived from the positive ones are a bit wobbly. 6) Can you falsify the author’s argument? Conduct this exercise when you’re done reading a research paper — can you picture the findings that would force the author to say, “you know what, I can’t explain this away — it turns out my hypothesis was wrong”? If you can’t picture that, then you can discard what you’re reading a a piece of agitprop rather than a piece of research. With those rules of thumb, go forth and read your research papers. Other useful rules of thumb are encouraged in the comments.